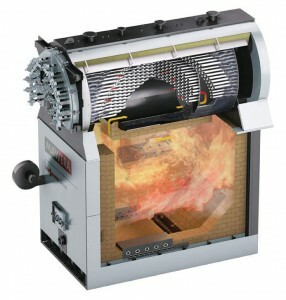 Apart from biomass, the flat moving grate is particularly designed to burn wood fuel with a high ash content and a high share of contaminants, such as sand, glass, scrap metal, etc. Significant advantages of the flat moving grate combustion Type FSR are: 1. reliable operation due to the heavy-duty design, and 2. low particulate matter with recirculation of five gases and filtration. 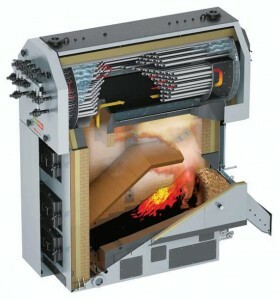 MAWERA’s firebox boilers use a low-NOx firebox technology. Our Low-NOx-combustion chamber is equipped with variable and controlled primary air supply – an important feature to reduce NOx emissions. Design and Operation The geometry of the primary combustion area (wood gasification) as well as that of the secondary combustion (oxidation) in the firebox was developed in our test facilities and is based on the latest scientific research conducted in cooperation with Graz Technical University. 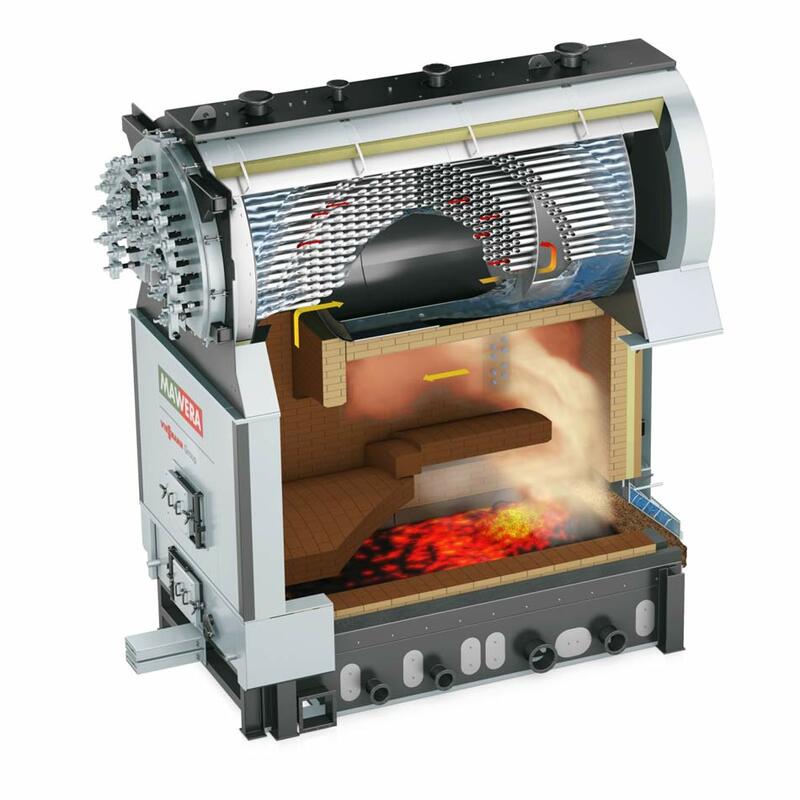 As a result, NOx emissions are reduced by 80% compared to fireboxes with a conventional grate technology. 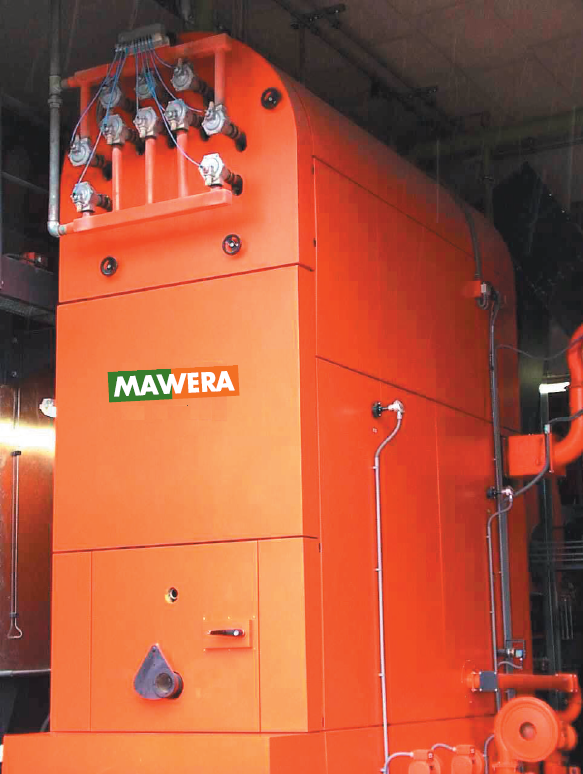 Wood fuel is discharged from silos and bunkers using MAWERA’s walking floor conveyor and MAWERA’s silo discharge system, respectively. Depending on architectural constrains and the particle size of the fuel, chain conveyors, push rods, or tube screw conveyors can be used to convey the fuel. The length of the grate is designed according to the moisture content of the fuel and the type of boiler required (water, steam, or thermal fluid). 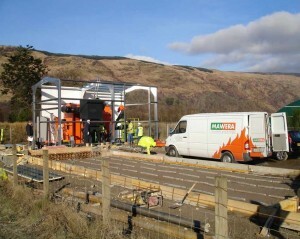 Mawera also rebuilds and retrofits existing wood-fuelled firebox boilers. 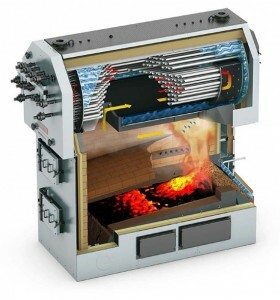 Our experts assess your existing boiler plant and elaborate a concept for extending, rebuilding, or retrofitting it.